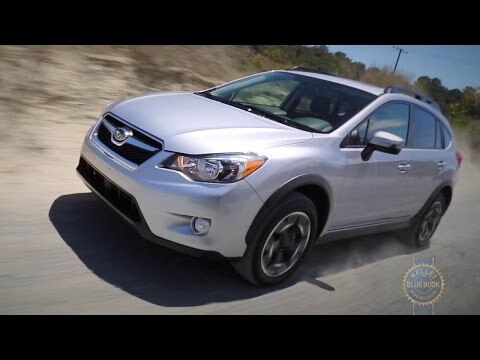 If you like the Subaru Outback, but don't have that much money or need that much space, then the 2015 Subaru XV Crosstrek may just be the ticket. Based on the smaller Subaru Impreza, the Crosstrek SUV offers plenty of ground clearance, surprisingly good off-road ability, and this year gets Subaru's EyeSight active safety suite and a new lower-priced base model. The Subaru Crosstrek is an amazing car, I would pick it over and over. The 2017 Subaru Crosstrek is the best car I have ever had. The seats are comfortable for traveling and for the long mountain drives. The wheel is smooth while turning and going through curves. It is one of the smoothest rides ever. It is amazing during the winter time. I've always trusted Subaru with their vehicles during the snow season. I have never slipped off the road with my Crosstrek. Their Bluetooth and sound system are great! Although navigation and screen should have more apps and better functions for it being a 2017. Car is amazing overall. 2015 Subaru crosstrek - small sized crossover with good mileage. No problems, very reliable, decent gas mileage, great traction. I have actually ended up in the ditch with enough snow that I should've been stuck, and I was able to drive out. I have never had a problem with it starting, even in cold temps. The only complaint I would have is I wish it was a little taller, and the light bulbs do not last long. It feels like I am continuously replacing them.